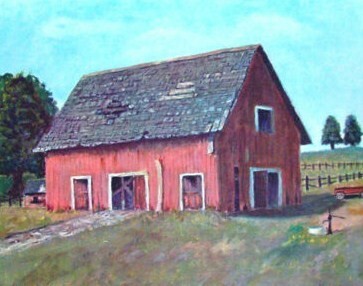 It's just like being down on the farm when you enter this room. 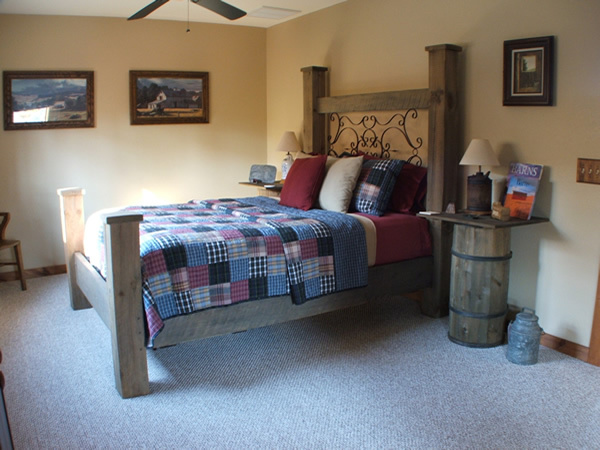 Massive rough-cut timber bed, made by the innkeepers, topped with a luxurious queen size mattress flanked by barrel nightstands. 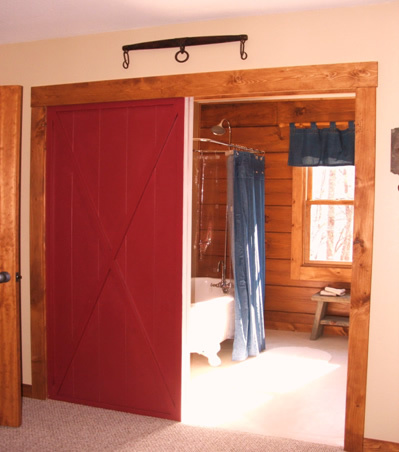 Slide open the barn-door to the spacious bath with exposed log walls and classic claw-foot tub with shower.